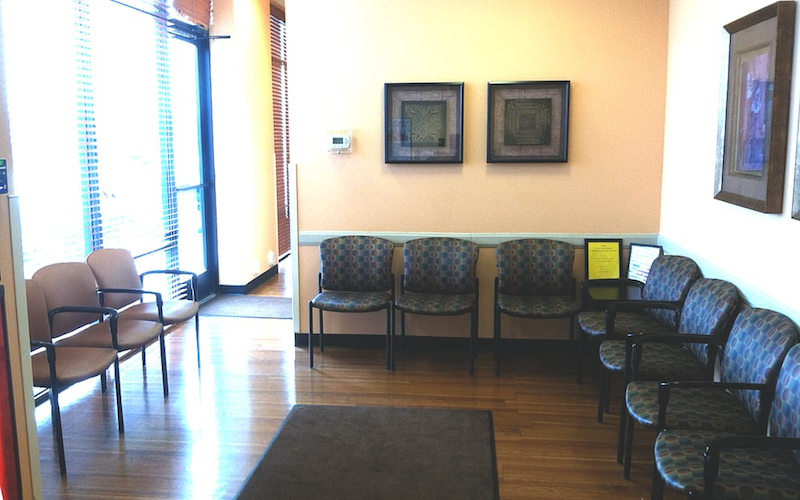 As part of the larger NextCare Urgent Care, this clinic has affiliates with the closest other clinic being in Phoenix about 3.9 miles away and is open today from 8:00am to 8:00pm. Recognized favorably amongst their patients, NextCare Urgent Care, Phoenix (E Thomas Rd) has an average rating of 4.4 stars out of 5 based on 1543 total ratings. In fact, recent patients have frequently used words such as "ambiance", "bedside manner" and "timeliness" to describe their experience at the clinic. Certainly not terms you hear about healthcare providers too frequently! The lady at the front desk with braids was so nice and efficient. She handled multiple patients checking in and discharging while maintaining a positive attitude and ensuring each process was completed correctly. She was thorough yet quick, as well as friendly and compassionate. She made my experience better than all of the other times i've gone to a NextCare Urgent Care. Hiring the right people with the right attitude really makes a difference. Thank you! It’s was straight and to the point. It was great! Everybody was super friendly and showed they cared about my situation. I was very happy and surprised how fast I was in and out. Nice people good customer service I recommend your service it was fast I didn't wait more than. Half hour thanks. Knew exactly what was wrong out inn15 minutes!! Staff very friendly concerdering they had to deal with a very rude person. Going to your facility was a very positive experience. Thank you for making it so easy. I have a broken toe and the pain is actually getting worse. Dr said take Tylenol and it does nothing. Only problem is the lasix is not very effective. Would the Dr call in a stronger dose to Walgreens central and Osborne? The man that took my vitals is amazing. He’s usually working when I go and he’s so friendly. It’s amazing that someone can be so nice working at 11pm at an urgent care during flu season. I showed up early for my appointment and it still took 15-20 minutes after my scheduled appointment to be seen. But the place was clean, staff was very friendly and they were thorough and efficient.